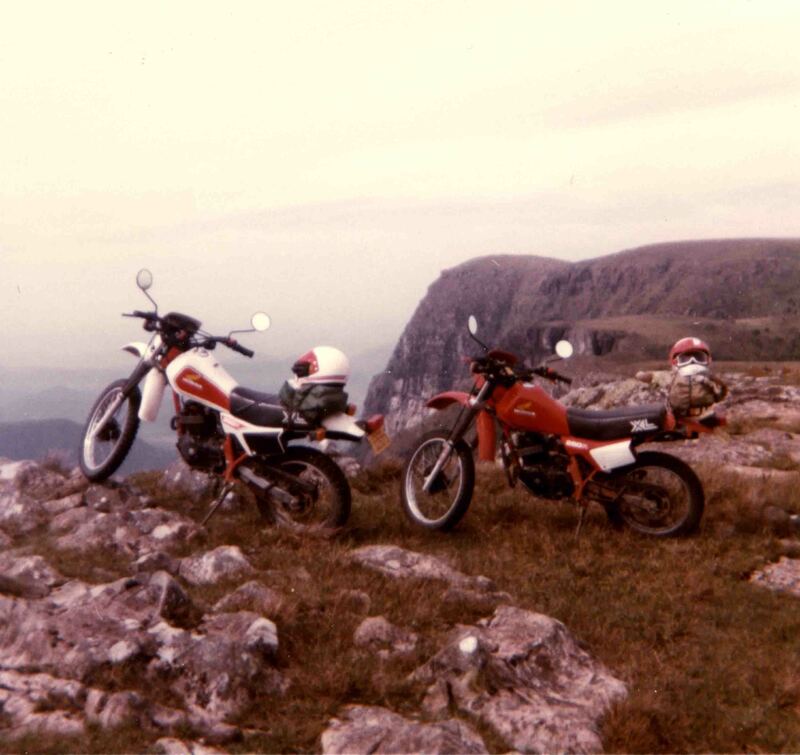 It all started with a Honda XL250 (the red one on the photo below). Within a month of ownership I took it on a ride sponsored by a local Honda dealer. The ride leader took me and a group of local riders through single track trails on the hills around Porto Alegre, in the southern most state of Brazil (Rio Grande do Sul). I was simply ecstatic about how easily the bike conquered all sorts of terrains. I could not believe how much fun it was to ride steep and narrow trails with a motorized vehicle. When I got home, I parked the bike in the garage and stared at it for several minutes. It had dirt, dust, and dried up mud all over. I wanted to bring my sleeping bag and spend the night with it in the garage. 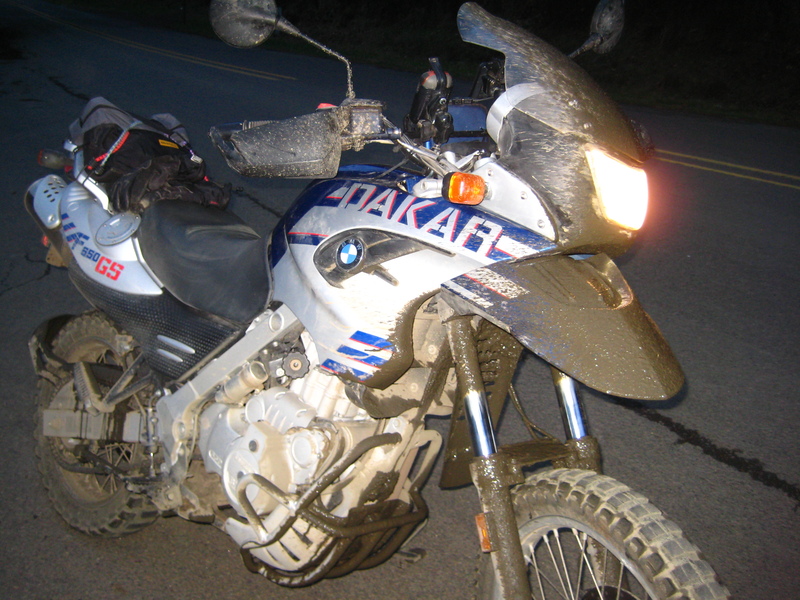 It was a bonding experience, the idea that the machine was my buddy, my ticket to adventure, going with me, taking me through challenging terrain. It started there and the idea of adventure and riding stays on my imagination through today. A couple of months later I entered an enduro race. A total newbie, not even with the proper riding equipment, or appropriate knobby tires. Out of the 90 entrants, I finished 30th. Not bad at all. I rode this bike for a few thousand miles after that. A few years later I sold it when I was about to move to the United States to start my graduate studies in Ohio. 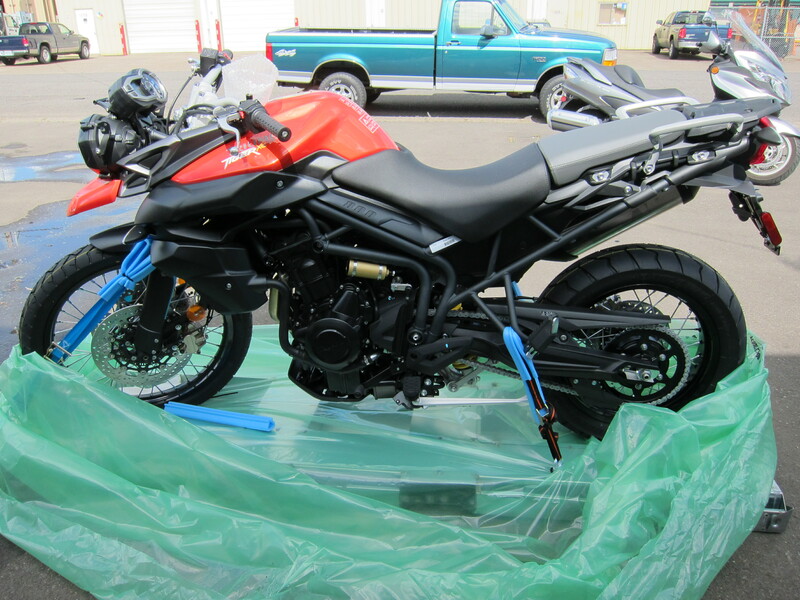 When I moved to Ohio, the motorcycle scene did not entice me to go and buy a motorcycle. Winters were cold, the Ohio landscape was not that enticing for the kind of riding I like, there weren’t too many gravel and dirt roads on open fields and big sky landscapes. And my priority was graduate school. In 2005 I started playing around with the idea of moving to Oregon. Months before I got the job that afforded my move I was already dreaming about riding on the high desert of eastern Oregon. I had flown over the area on work related trips, I had seen the landscape from far above. 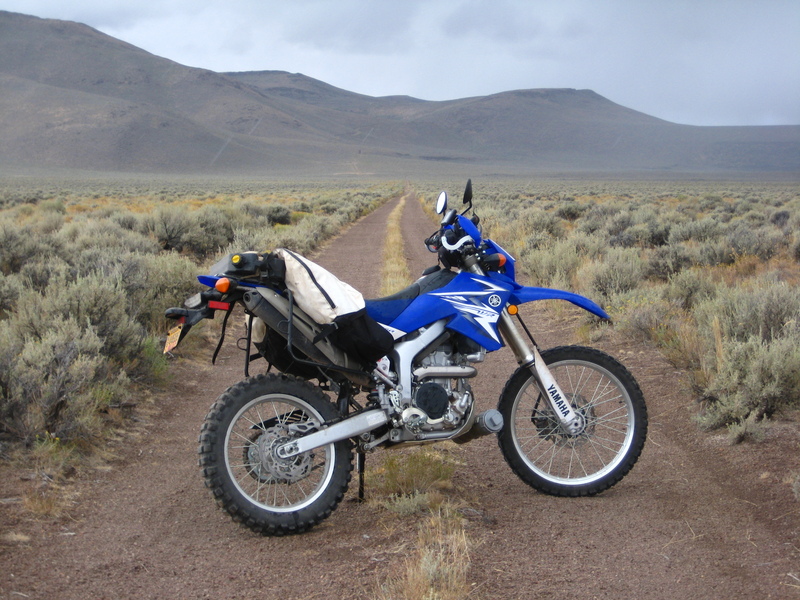 I registered on the ADV Rider website and read the many stories of riders and their riding adventures across the empty spaces of the western USA. I started researching enduro bikes and came across a few models in the 650 cc range that looked interesting. 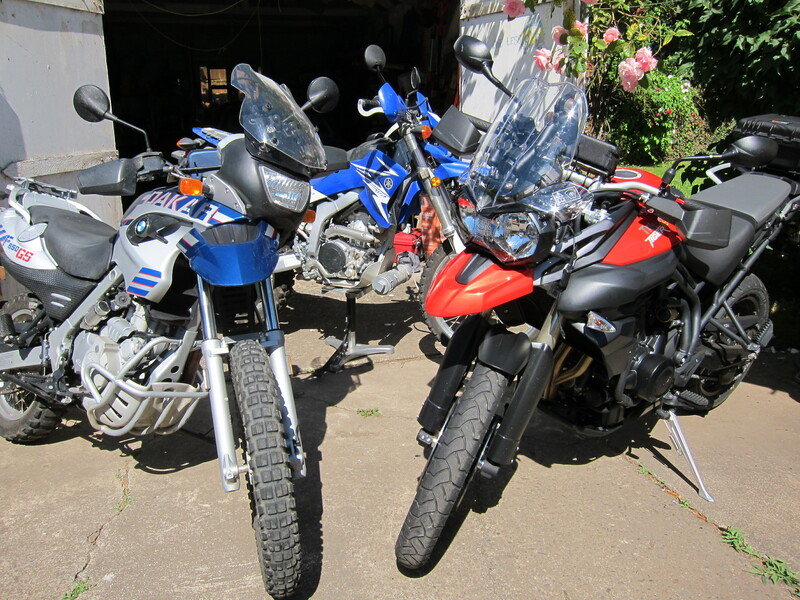 The candidates were the KLR 650, the Honda XR650, and the BMW F650GS. I arrived in Oregon in November 2005. 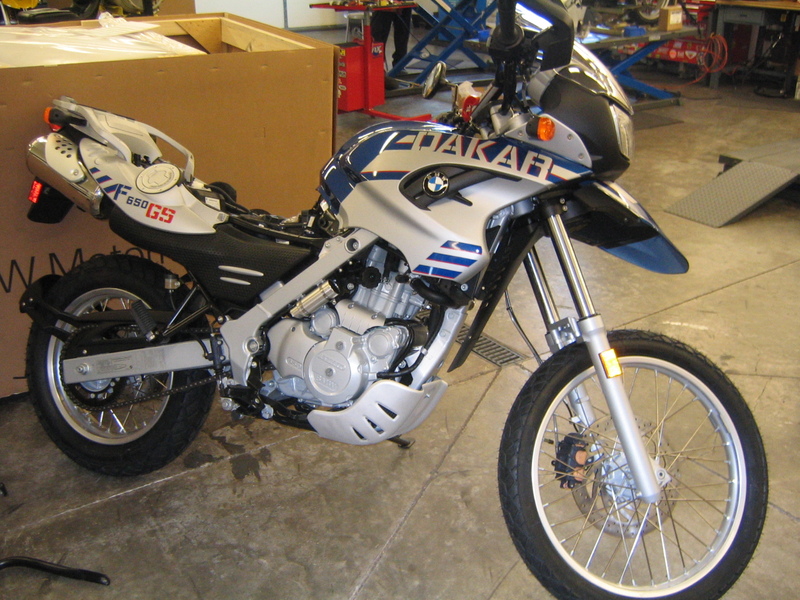 In February of 2006 I had a house with a garage to store the bike, and not a month after that I had acquired a 2006 BMW F650GS Dakar. Here she is, March 2006, just out of the box. It is a great bike for not only round the world travel, but also mid range adventure rides, mixing paved and non-paved roads. It has been great for trips to eastern Oregon and neighboring states. 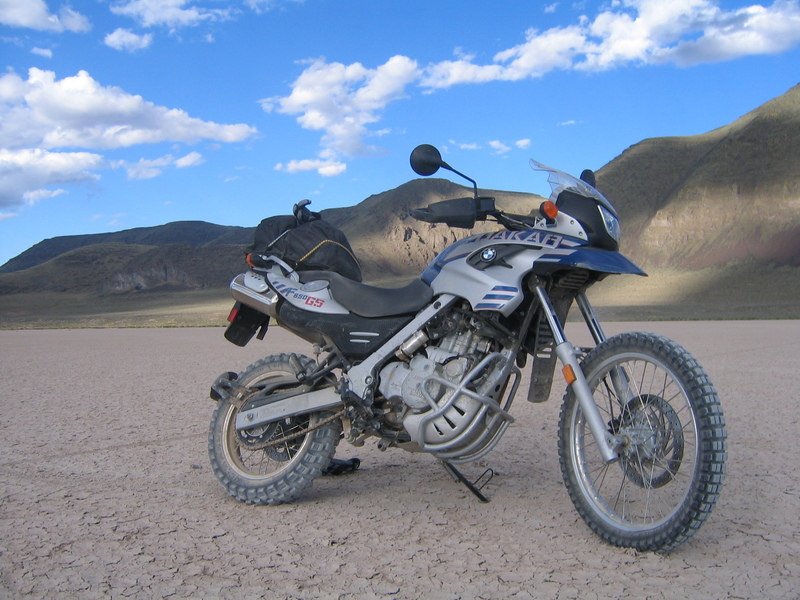 Here is a photo of the bike in the Black Rock desert, in Nevada, June 2006. 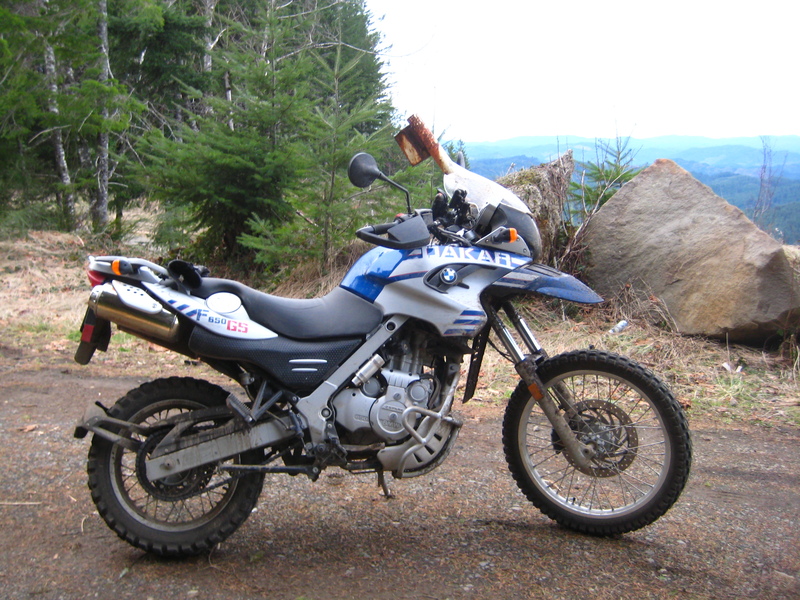 Although this bike was great, I really felt it being heavy and a bit too large for more spirited riding on dirt roads. I missed my little Honda 250 of years past. It was nimble and the rider/bike relationship seemed more symbiotic. 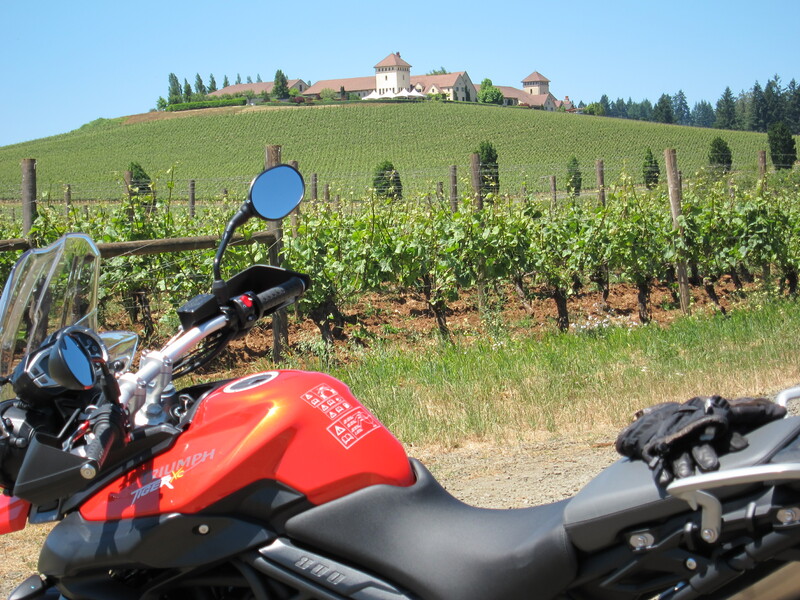 But the 650 is a great all around bike, here she is at Roman Nose Mt., in Oregon. It rides really well on all types of terrain. Here is what it feels like, video of a ride on Old Stagecoach Rd., also in Oregon. But the idea of finding that more symbiotic relationship persisted. In 2008 I read about this new offering from Yamaha. A 250 enduro, water-cooled and fuel injected bike. Light and powerful enough, almost double the HP of my beloved Honda XL250. So In 2009, in the middle of the housing bubble, prices down low, I acquired the Yamaha WR250R for a good reduced price. 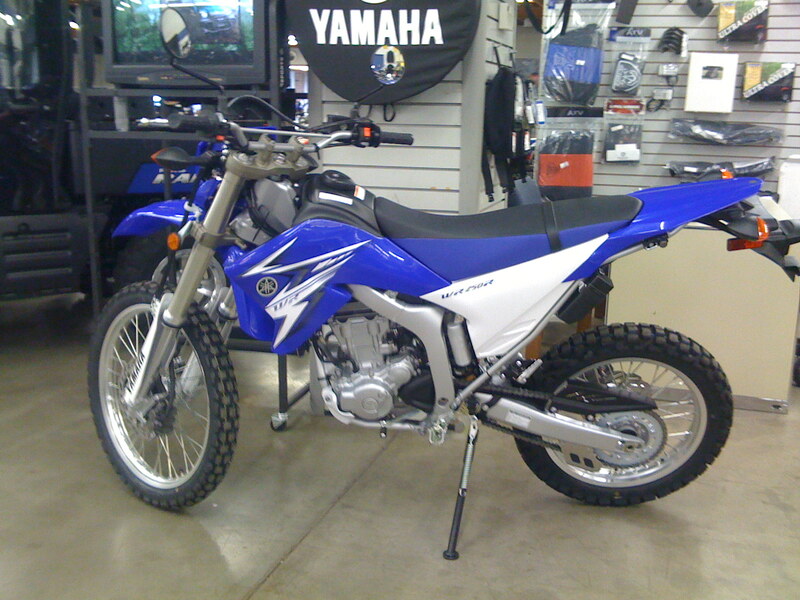 Here she is, at the local Yamaha dealer, the day I brought here home. The WR250R is perfect for rougher terrain. It is lighter and more nimble than the 650 and the suspension is fully adjustable, front and back. It is a “point-and-shoot” motorcycle. Here she is. 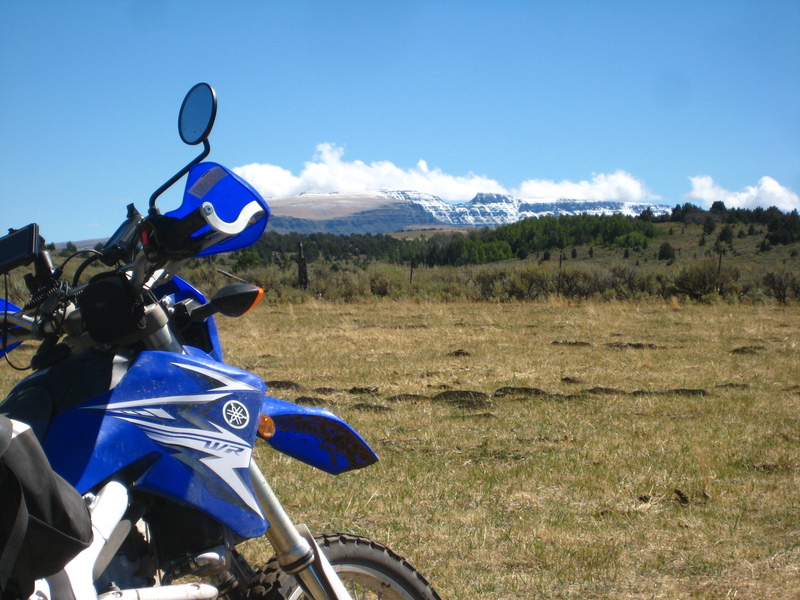 Below, the WR250R with the Oregon’s Steens Mountain on the background. And this is what it feels like when riding it. This Yamaha is simply a blast to ride. But now I was ready to move to the other side of the spectrum. I had two bikes that did well on dirt. The Dakar can do well on paved roads as well. It has that endurance quality, cruise at 65-75 mph and it will go forever and will do better than 60mpg. But I wanted something more street biased. 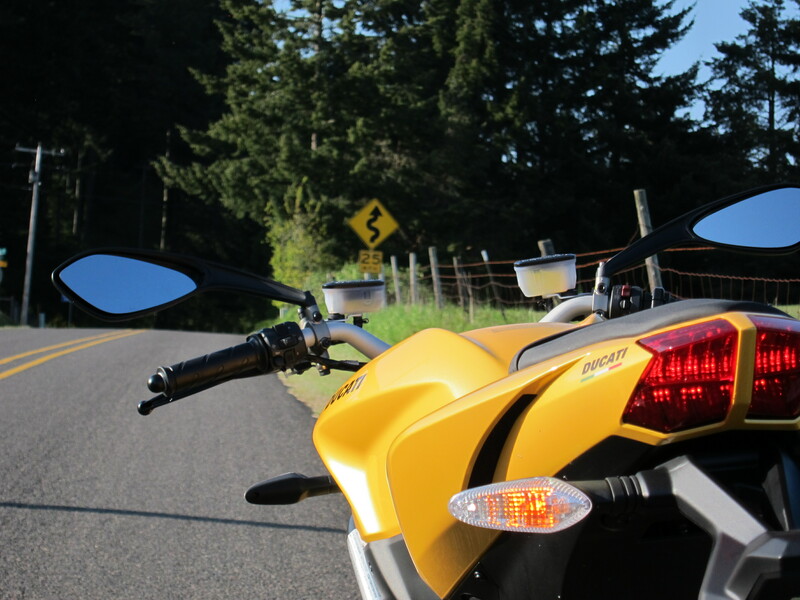 More powerful and more comfortable for longer rides on paved roads. When I heard about the Triumph 800XC I thought it was the perfect fit. It looks like an enduro bike, but it has a great street motor. I test rode it and a month later I ordered one. It is the largest of the three. Although it will ride well on gravel roads, it feels a lot better on paved roads. Here she is, partially out of the box in July 8, 2011. At one of the local wineries. Here it is what it feels like riding it on a dirt road. So what is next? Do I need another bike? At first I thought no. Now I think, yes! But I want to keep the number of bikes to three. Something is going to go. The Dakar is the candidate to go and in its place I will get something different… (to be continued). My three bikes in July 2011. Now I have a more balanced set of bikes. The WR250R is my bike to be used on dirt rides. It does that very well. 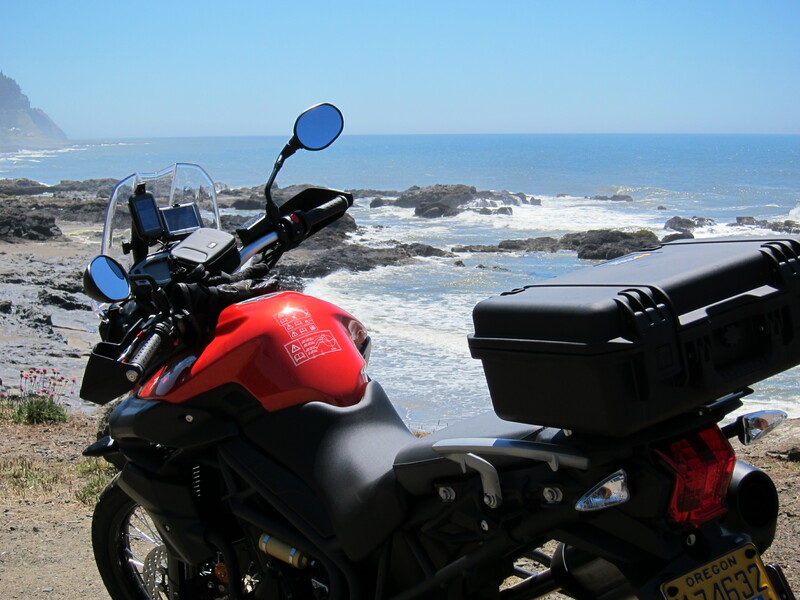 My Triumph Tiger 800XC will be used for touring, which it also does very well. 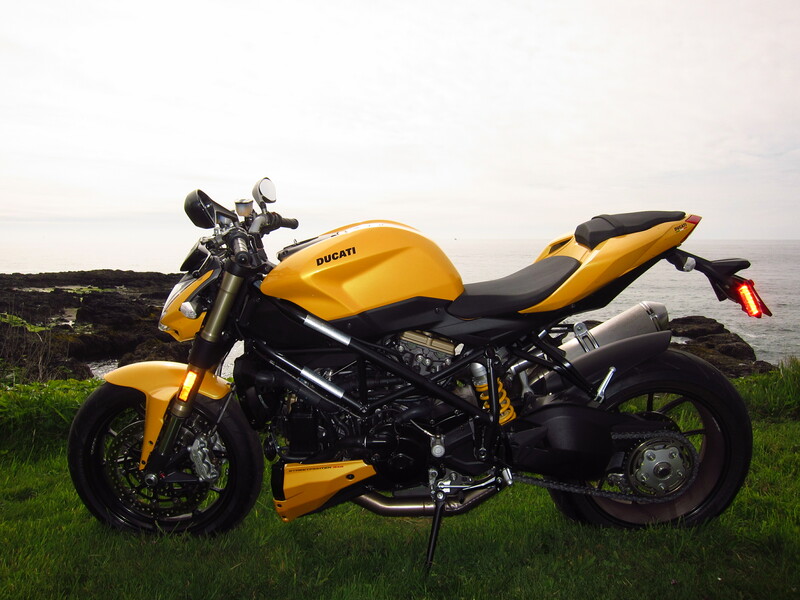 And the new comer, the Ducati Streetfighter 848 will be my machine for the Oregon twisties. This bike is a beauty. 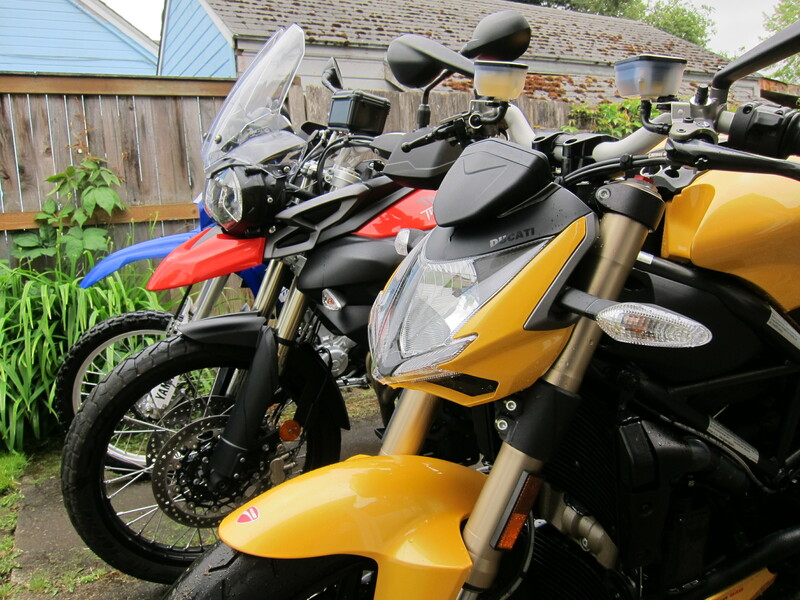 This seems to be a nice composition of bikes for what we get in Oregon. What is next? For now, enjoy these bikes as much as possible.